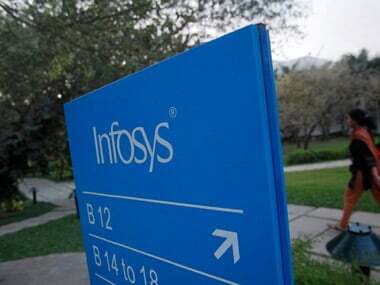 New Delhi: India's second largest IT firm Infosys on Friday reported a 30 percent drop in its December quarter net profit on higher expenses even as it approved a Rs 8,260-crore share buyback -- the second in less than 13 months' time. Its net profit slumped to Rs 3,610 crore in October-December 2018 from Rs 5,129 crore in the same period a year ago, the company said in a statement. In spite of the drop in quarterly profit, the company raised its revenue growth forecast for the fiscal year ending March 2019 to 8.5-9 percent in constant currency terms, from 6-8 percent previously. Revenue from operations rose 20.3 percent to Rs 21,400 crore. During the third quarter, expenses surged over 26 percent to Rs 17,021 crore on the back of higher depreciation and amortisation charge and reduction in carrying value of Skava. Infosys said it will buy back 10.32 crore shares, or 2.36 percent, for no more than Rs 800 per share -- 17 percent higher than the closing price of Rs 683.70 per share on the BSE. This is the second share buyback in the company's history. The first was in December 2017. A company can hold a share repurchase programme only once a year. Infosys also declared a special dividend of Rs 4 per share. In its maiden buyback, Infosys had returned around Rs 13,000 crore to the shareholders by purchasing the stock at Rs 1,150 per piece. The share buyback and the special dividend are part of Infosys' capital allocation policy outlined in April 2018 for returning the surplus of about Rs 13,000 crore to shareholders. Payment of special dividend would entail a payout of about Rs 2,107 crore and another Rs 8,260 crore would be spent on share buyback. "With increased client relevance, we saw double-digit (10.1 percent) year-on-year growth in Q3 on a constant currency basis," Infosys CEO and MD Salil Parekh said. Parekh -- who has completed a year in his role -- said the company also had another strong quarter in its digital business with 33.1 percent growth and large deals at $1.57 billion, which gives it confidence entering 2019. Sanjeev Hota, AVP Research at Sharekhan by BNP Paribas, Infosys' performance surprised positively with strong top-line growth for the quarter, though margin performance missed the mark. "Increase in revenue guidance and better exit rate for FY19 provides comfort on double-digit growth in FY20. Buyback quantum seems to be below than expectation, however, will support the stock performance in medium term," he added. 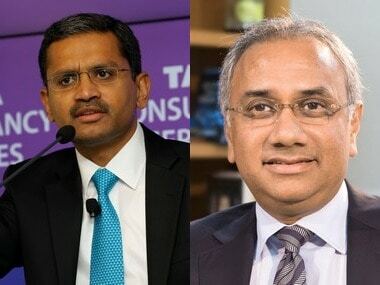 Larger rival, Tata Consultancy Services had posted 24.1 percent growth in its December quarter net income at Rs 8,105 crore (its highest ever), and guided towards a healthy 2019 saying it has a "strong" order pipeline. Revenue rose 20.8 percent to Rs 37,338 crore in the said quarter. 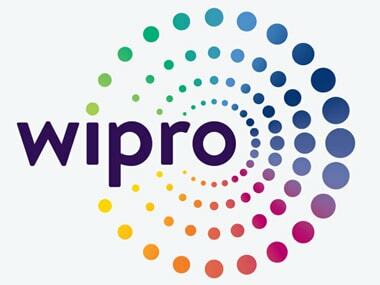 Other IT services players like Wipro, HCL Technologies and Tech Mahindra will announce their third-quarter financials in the coming weeks. Infosys added 7,762 employees in the December quarter, taking its total headcount to over 2.25 lakh. Its annualised consolidated attrition was at 19.9 percent. The company said it was "no longer highly probable" that the sale of its units Kallidus, Skaya and Panaya would be completed by March 2019. Among other decisions, the board of Infosys re-appointed Kiran Mazumdar-Shaw as the lead independent director for a second term from 1 April, 2019, to 22 March, 2023. Parekh, in a post-earnings press conference, said the confidence to raise revenue forecast comes from the fact that individual segments are growing well. "Also, our core services is growing. And that's where we make a difference in the market," he said. "We have an extremely competitive offer and we are putting a lot of artificial intelligence into it. That's attractive for our clients." The share of digital services like cloud computing, automation and analytics have been increasing in the company's revenue share and growth returned to legacy businesses like financial services. Digital services now contribute 31.5 percent to its revenue. Infosys added 101 clients during the quarter -- one in the $50-million-plus band, nine in the $20-million-plus category and 18 at more than $1 million. Interim Chief Financial Officer Jayesh Sanghrajka said reclassifying Skava and Panaya from assets 'held for sale' impacted margin by 40 basis points while new acquisition impacted margin by 20 basis points.